The federal Every Student Succeeds Act has placed authority for improving education squarely in states’ hands. 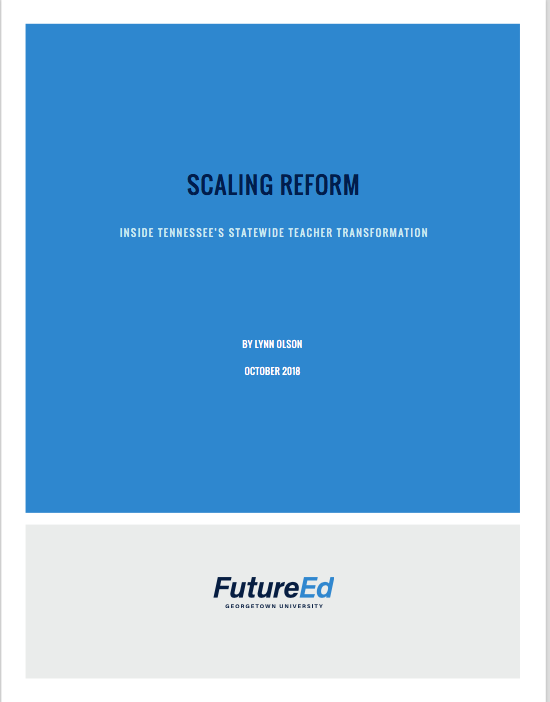 In Scaling Reform: Inside Tennessee’s Statewide Teacher Transformation, FutureEd chronicles how one state has made valuable changes to its teaching profession, with powerful lessons for other states. Over the past decade, Tennessee has led one of the most comprehensi ve educator reform efforts in the country, under both Republican and Democratic administrations. It has toughened standards for teachers and students, overhauled teacher professional development, and strengthened teachers' and principals' capacity to lead school improvement. 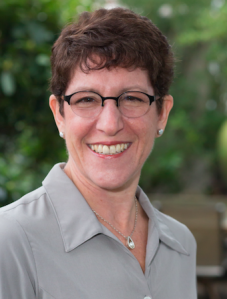 The work has paid substantial dividends: A recent study by Brown University researchers has found substantial, career-long improvement among the state’s teachers and the Volunteer State has seen steady gains in student achievement. The new FutureEd report, written by Senior Fellow Lynn Olson, points to important lessons for other states seeking to leverage statewide improvements, including Tennessee’s redesign of its state education agency, its balancing of external expectations and local control, the use of data and experience to make mid-course corrections, putting teachers and teacher leaders at the center of reform; and using networks to build school and school district capacity.